We always pronounced our surname Doerr as Door. In talking to a cousin, Wilma (Doerr) Gardner, from Iowa, she said they pronounced it Deer. It’s interesting how spelling and pronunciations change throughout the different generations and lines as they move to different areas. Many of the finest farms in Winneshiek county at the present time are owned and operated by the sons of the pioneers in this part of Iowa, who in their development and further improvement of the old family homesteads are ably carrying forward the work begun by their fathers in early times. To this class belongs William Doerr who is carrying on general farming and stock-raising on a fine property of one hundred and eighty acres on section 18, Military township, constituting the farm upon which he was born and reared. His birth occurred on the 9th of December, 1855, his parents being William and Annie (Drufner) Doerr, natives of Germany. The father came to America when he was about eighteen years of age and settled in Pennsylvania, where he remained seven or eight years before removing to Winneshiek county, Iowa, where he purchased land. His entire active life was devoted to agricultural pursuits and he gradually attained a position of prominence and importance in farming circles of Military township where he made his home until his death on the 17th of September, 1886. As a progressive and public-spirited citizen he took an active part in local affairs and held various important official positions including that of school director. His wife survived him some time, dying in 1909. To them were born ten children: Helen, the wife of Joseph Emil of Calmar, Iowa; Elizabeth and Mary, deceased; William of this review; Annie, Caroline, Julia and Rosalie, who have passed away; Catherine, a nun in a convent at La Crosse, Wisconsin; and a daughter who died in infancy. William Doerr was reared upon the family homestead in Military township and from his childhood assisted with the work of its cultivation, becoming at an early age thoroughly familiar with the best methods of cultivating the fields and caring for the stock and grain. When he was twenty-two years of age he rented the property from his father and cultivated it for three years, after which he purchased one hundred and twenty acres on section 33, Military township, and turned his attention to its development and improvement. At the end of five years he disposed of this property and bought the old homestead of one hundred and eighty acres, which he still owns. He engages in general farming and stock-raising and has been very successful, prosperity steadily attending his practical and well directed labors. On the 13th of November, 1877, Mr. Doerr was united in marriage to Miss Catherine Untereiner, a daughter of Jacob and Elizabeth (Bouillon) Untereiner, natives of France. They came to America in 1852 and settled in Winneshiek county, Iowa, where at first the father followed the blacksmith’s trade, engaging later in farming in Washington township. 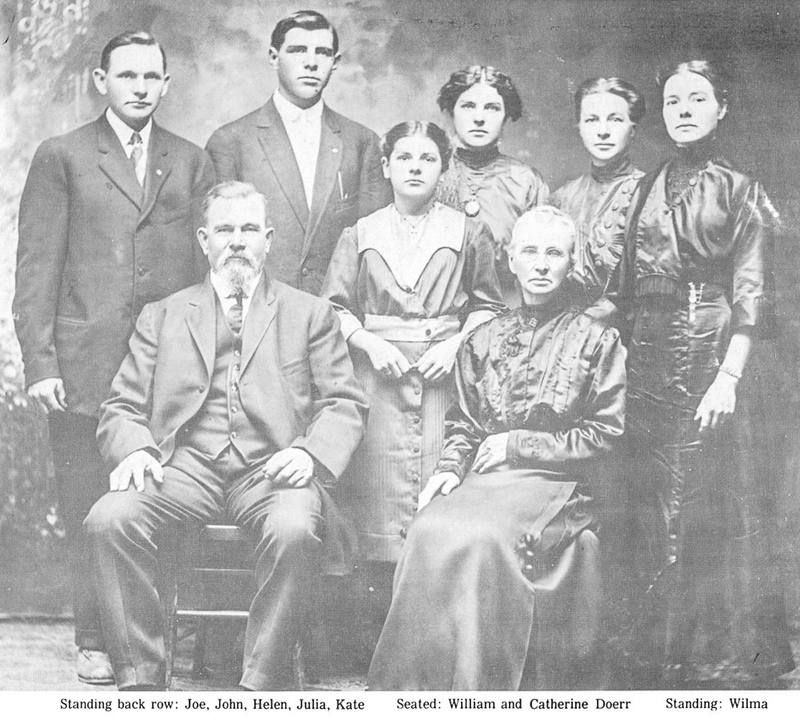 Mr. and Mrs. Doerr have become the parents of nine children: William, deceased; Julia, the wife of Bernard Einck; Theodore, who resides in Winneshiek county; Catherine, the wife of Antone Einck of Charles City, Iowa; Joseph, who lives at home; Helen and John, who are also at home; Clemence, deceased; and Wilhelmina, at home. Although the article about William says he purchased the home farm, I believe that he purchased only a portion of the farm and his sister, Helena Doerr and her husband Joseph Imoehl purchased another portion. The 1886 Platt Maps for Military Township, section 18 show Joseph Imohl [Imoehl] owning 119 Acres and William Doerr owning 181.5 acres. 1886 was the year that their father Wilhelm died and they would have purchased the property sometime prior to that for it to show up on the 1886 Plat maps. It makes sense that the property was all once owned by their father. That would mean that William Sr (Wilhelm) acquired about 300 acres when he settled in Military Township. As stated in the above article, William married Marie Catherine Untereiner on 13 Nov 1877 in Festina, Iowa. 3 4 Catherine, also called Katie, was the daughter of Jacques “Jacob” Untereiner and Elisabeth Bouillon, both natives of LaPetite, Peirre, France. Catherine would have grown up on her family farm in Auburn Township, Fayette County, just SW of Military Township. J Untereiner owned about 70 acres of land in section 3 according to the 1879 Platt map. Sometime later in life, William lost his right eye in an accident in the barn. Apparently a pole fell while he was working with a couple of horses. He was fitted with a glass eye, which can be seen in later photos of him. On 13 Nov 1927, William and Catherine celebrated their 50th wedding anniversary at the farm of their daughter and son-in-law, John and Helena (Doerr) Moellers. See my Home page for a listing of names in the photo. William died on 11 Dec 1932 at the age of 77 due to Pneumonia after a 10-day illness. Catherine died 26 Sep 1938 at the age of 78 at her home after an illness of nearly a year. They are both buried at Saint Francis de Sales Cemetery, Ossian, Iowa. There is a Doerr Family monument with 5 graves surrounding it: William, Catherine, Joseph S, Wilma and Clemens C.
William Jacob Doerr, born: 22 Aug 1878 and died 22 Aug 1880 on his 2nd birthday. Amanda Katherine Einck, born 11 Nov 1904 in Castalia, Iowa. She died on 13 Apr 2007 in Milford, Dickinson County, Iowa at the age of 102. Amanda married Henry “Hank” Schultz Jr. on February 23, 1925 in Ossian, Iowa. Henry died 27 Feb 1985 in Postville, Allamakee County, Iowa at the age of 83. They had three children: Geneva Marie Schultz, Arthur Henry Schultz and Lyle Henry Schultz. Arthur William Einck was born on 17 Feb 1907 in Bloomfield, Iowa and died in November 1983 in Ossian at the age of 76. Arthur married Mildred Louise Mary Witgen on 03 Dec 1935 at St. Joseph’s in Cresco, Iowa. Mildred was the daughter of William Leo and Mary Ann (Uhlenhake) Wiltgen and was born on July 24 1915 in Ossian. She died on April 19, 1996 in Ossian at the age of 80. She was buried in St. Francis de Sales Cemetery, Ossian, Iowa. They settled in Ossian, Iowa. Arthur was a Mechanic at a Farm Implement shop in 1940. They owned their own home in Ossian. They had three children: Robert Joseph Einck, Richard Bernard Einck and Mel Francis Einck. Irene Elizabeth Einck was born on 24 Jun 1910 in Castalia, Iowa. She died on 11 Sep 2007 in Aase-Haugen Nursing Home, Decorah, Iowa at the age of 97 and was buried in St. Benedict’s Cemetery. Irene married John William “Jack” Schissel on 02 Jun 1930 in St. Francis DeSales Catholic Church, Ossian. Jack was the son of Joseph John and Staphina (Funke) Schissel. He was born on 03 Feb 1906 and died on 06 May 1979 in Decorah, Iowa at the age of 73. 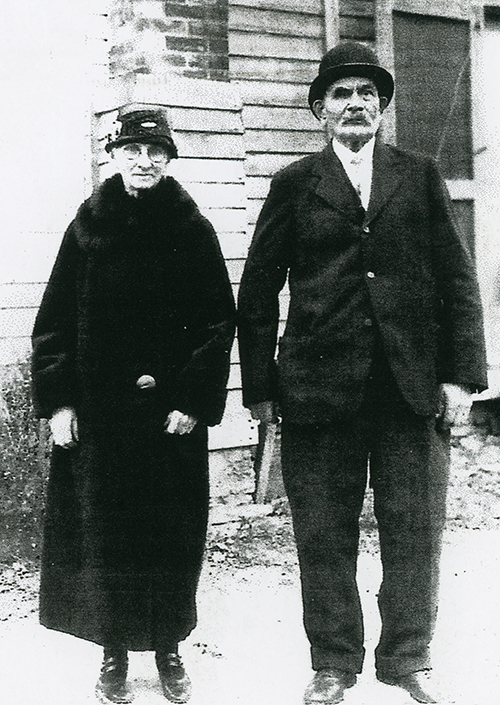 John and Irene settled in Calmar, Winneshiek County, Iowa where they owned their own farm. They had three children: Ardith Mary Schissel, Kathleen June Schissel and John “Jack” William Schissel Jr.
Frederick Einck was born in 1913. He died in infancy. Frederick Theodore Einck was born on 06 May 1916. Frederick married Irene Louise Meland on 30 May 1936 in Postville, Iowa. Irene was the daughter of Peter and Mabel (Meyer) Meland. She was born on 24 Aug 1917 in Postville, Iowa. Frederick and Irene settled in Decorah, Winneshiek County, Iowa. Frederick was a carpenter and builder. Frederick and Irene had five children: Darrel John Einck, Lawrence Einck, Lloyd Einck, Richard Einck and Julie Einck. All except Darrel died in infancy. Frederick died on 02 Aug 1943 in Decorah, Iowa at the age of 27. “He was killed by a bolt of lightning while assisting with threshing near Decorah. Mr. Einck and a group of threshers had taken shelter under the eaves of a barn during the storm when the lightning struck.” 10 He was buried in St. Francis de Sales Cemetery in Ossian, Iowa. Their son Darrel John Einck died on 13 May, 2005 in Drain, Oregon at the age of 64. He married Norine Diane Roberts, which ended in divorce. They had three children: Frederick Theodore Einck, Richard Einck and Wendy Lue Einck. Darrel served in the US Marine Corps from 1957 to 1963. He received a Good Conduct Medal from the Marine Corps. 11 Irene later married Lloyd Sloan and died on 19 Jan 2004 in Eugene, Oregon at the age of 86. Jerome Joseph Einck was born on 06 Jun 1919 in Bloomfield, Iowa. He enlisted on 17 May 1943 at Camp Dodge Herrold, stating he had attended high school for one year and was employed as an automobile serviceman. Jerome married Norma Audrey Koch, daughter of Walter and Mabel (Monson) Koch. Norma was born in 1926. They had four children: Diane Louise Einck, Linda Kay Einck, Sandra Susan Einck and Annette Marie Einck. Theodore Peter Doerr, my grandfather, was born on 31 Jan 1884 in Military Township, Iowa.Ted grew up on the home farm in Military Township, Iowa and completed school through the 8th grade. The 1900 census shows him in school at 16 years old. When he was young, most likely about 18, he traveled to South Dakota, and worked on a ranch for a couple of years. His uncle, Mathias Emile Untereiner, had settled in Cross Plains, South Dakota. Through a newspaper clipping, we know that Teds father William traveled to Parkston, South Dakota to visit Emil Untereiner and the “Untereiner Boys” in Nebraska. Perhaps this is what brought Ted to South Dakota. We also have a picture of him with another person that could be one of the Untereiner boys on a sheep farm that was sent home from South Dakota. I’m guessing the timeline to be between 1905 and 1910. The postcard is dated 1907. Ted and his brother John were very good carpenters. They worked together some, then each had their own crew. Ted would continue as a carpenter and build houses until 1942. Ted married Anna Marie Kappes on 26 Nov 1912 in Saint Lucas, Iowa. The newspaper clipping announcing their marriage states that they planned to settle in Fort Atkinson. But we find they purchased a home in Wesley, Iowa by 1915. In 1942 they move their family to San Francisco. Ted will work at the Naval shipyards where he worked during the rest of the war years. After the war, although they would live in San Francisco, he would travel to Oregon with his son, Luke, to work on construction jobs. He most likely retired in the late 1940’s and spent his time in retirment making small furniture for children. Anna worked at the San Francisco post office in San Francisco from 1942 until she retired. Anna died 01 Apr 1965 of a heart attack at their home in San Francisco at the age of 71. Ted then moved in with his son, Bill, in Sonoma, California, where he died in his sleep on 12 Apr 1968 while taking a nap at the age of 84. Maurice Englebert Doerr born 18 Dec 1917 in Wesley, Iowa. Maurice joined the Navy in 1939 and was assigned to the U.S.S. Helena. It was docked in New York and on July 2, 1940, Maurice, while crossing a street in new York City, was hit by a car. He died the next day, on July 3, 1940 at the age of 22. Luke “Duke” Erwin Doerr (my dad) was born 21 Jan 1920 in Wesley, Iowa. Luke was called Erwin as a boy and Duke as an adult. His grandchildren affectionately called him Papa Duke. Duke joined the Navy in 1939 and served until 1946. He married Eleanor Alberta Mark on 25 Mar 1942 in San Francisco, California. Duke and Eleanor had three children: Mark Erwin Doerr, Anina Katherine “Kathy” Doerr and Patricia “Pat” Marie Doerr. Luke and Eleanor divorced about 1960 and Luke then married Margaret Stephens Noble. Duke worked in construction until about 1955 when he was unable to continue due to an injury during the war. He then sold used cars and worked at a hardware store until about 1959 when he went to Business College. After he and Margaret married, he worked for Canyon Glass in Beaverton, Oregon as a bookkeeper until he retired. During their years in Beaverton, Duke and Margaret were avid Rock Hounds and spent many weekends rock hounding with their friends. Duke set up shop in his basement with the tools to polish and cut the rocks. He made beautiful pieces out of the cut rock, including clocks, tables and lamps.Margaret worked at Dictaphone Company in Portland, Oregon. They both retired in 1985 and spent many years traveling around the country in their RV. In 1987 they sold their Beaverton home and moved to Eltopia, Washington. Duke died on 26 Mar 2009 at the age of 89 and is buried in Eltopia, Washington. Duke and Margaret were happily married for 46 years. As of this writing [Mar 2016] Margaret is 94 years old and still living on her own. William “Bill” Vincent Doerr born 20 Feb 1922 in Wesley, Iowa. Bill joined the Navy in August of 1940 and served until 16 Aug 1946. He married Marge Fink about December 1943. They moved to Sonoma, California, where Bill was a Sawman and Carpenter from 1947 until he retired. Bill and Marge divorced sometime before 1951. On 09 Mar 1951 Bill married Ruth C (Silva) Dietrich in Carson City, Nevada. They had no children, but Ruth had a son, Edward “Eddie” Vernon Dietrich by a previous marriage that Bill helped raise. Sadly, Eddie died in a car accident only six weeks after he married Carol A Fruth in 1967. Ruth was a Seamstress and power machine operator. Bill and Ruth were avid fishermen. They spent many of their weekends sleeping outdoors and fishing. Ruth died 16 Mar 2003 at the age of 78 in Sonoma, California. Bill died 05 Oct 2005 in Sonoma, California at the age of 83. LeRoy John Doerr born 03 Mar 1927 in Wesley, Iowa. LeRoy spent one year in the Army and then joined the Coast Guard. He spent 22 years in the Coast Guard, mostly in Hawaii, Alaska and St. Paul Island in the Pribilof Islands in Alaska. LeRoy was also an avid fisherman and outdoorsman. After LeRoy retired from the Coast Guard, he lived in the family home in San Francisco. He later moved to Clearlake, California. LeRoy died 28 Apr 2014 at the age of 87. Helen Ann Doerr born 24 Sep 1929 in Britt, Iowa. The only girl of five children, she was probably doted on. Sadly, Helen died at 13 months and 13 days on 07 Nov 1930 at their home in Britt. My father told me she died of “Crib Death” or what we call today Sudden Infant Death Syndrome (SIDS). From what I’ve read in newspaper articles, it looks like they put her down for a nap after lunch and she never woke up. Vera Elizabeth Einck was born on 16 Mar 1914 in Charles City, Iowa and died on 10 Jan 1970 in Roseville, Iowa at the age of 55. Vera married Matthias John Schmitt. Matthias was born on 07 Jun 1910 in Marble Rock and died on 13 May 1993 in Rockford, Iowa at the age of 82. They had ten children: Margaret Katherine Schmitt, Jerome Raymond Schmitt, Donald Bernard Schmitt, Elizabeth “Lizzie” Mary Schmitt, Ellen Marie Schmitt, Arthur John Schmitt, Walter Eugene Schmitt, Barbara Ann Schmitt, Clarence Robert Schmitt and Normas Ralph Schmitt. Donald Joseph Einck was born on 19 May 1916 in Charles City and died on 03 Oct 2007 in Denver, Iowa at the age of 91. Donald married Margaret Toedt on 01 May 1948. They had three children: Leo Frederick Einck, Elizabeth L”Bet” Louise Einck and Daisy Marie Einck. Donald was employed at John Deere & Co. for over 32 years. He died from Alzheimer’s. Oril Lavina Einck was born on 13 Aug 1918 in Charles City, Iowa at the age of 88 and was buried in Calvary Cemetery. Oril married William C. Schmitt on 04 Mar 1943 in Immaculate Conception Church, Charles City, Iowa. He was the son of Nicholas “Nick” Schmitt Sr. and Mary Sinnwell. William was born on 28 Sep 1915 in Floyd Co., Iowa and died on 06 Dec 2005 in Charles City at the age of 90. He was buried in Calvary Cemetery. They had three children: Carol Ann Schmitt, Lyle William Schmitt and Marilyn K. Schmitt. Ardis Mary Einck was born in 1922. She married Robert Martin Wiltse. Robert was born in 1921. They had one son: Wayne Robert Wiltse. Ida Rose Einck was born in 1924 in Charles City, Iowa. Ida married Charles “Carl” Louis Mihm, son of Clemens W. and Margaret “Maggie” Rose (Kuennen) Mihm. Charles was born on 21 Apr 1909 in Saint Lucas, Iowa and died on 01 Nov 1979 at the age of 70. They had eight children: Donna Leila Mihm, Dennis Charles Mihm, Lorraine Kay Mihm, Jeanne Rose Mihm, Charles Allen Mihm, John Anthony Mihm, Cheri Diane Mihm and Janice Helen Mihm. Helen Ione Einck was born in 1926 in Charles City, Iowa. Wayne Anthony Einck was born on 18 May 1928 in Charles City, Iowa and died on 14 Sep 2006 in Waverly, Bremer Co., Iowa at the age of 78. Wayne married Margie Lee Renfroe. Margie was born on 01 Apr 1933 and died on 24 Nov 1978 in Youngtown, Maricopa Co., Arizona, at the age of 45. Wayne next married Leatrice Smith Peters. Dorothy Amanda Einck was born in 1930. Dorothy married Clarence William Carr. Clarence was born on 29 Sep 1920 and died on 12 Oct 1978 in Waterloo, Iowa at the age of 58. They had two children: Catherine Lee Carr and Cynthia Cleo Carr. Alma Mary Doerr was born 20 Nov 1918 most likely in Ossian, Iowa. Elma married Louis Alphonse Beer, son of Joseph and Caroline (Holder) Beer. He was born on October 30, 1914 in Springfield, Iowa. They were married sometime between 1940 and 1943. They had a daughter, Beverly Beer. Wilma Rose Doerr was born 27 Jan 1922. She married Harvey Young and they had three children: Kenneth J Young Sr, Phyllis Young and Ardis Elaine Young. She next married Zachery Thomas Gardner. They had one daughter: Patricia Kay Gardner. Zachery died on 28 Jan 1961 in Mower, Minnesota at the age of 61. Agnes Kathleen Doerr was born 01 Aug 1924 in Iowa and died on 07 Mar 1990 in Clear Lake, Iowa at the age of 65. She married Earl Long. They had two children: Joseph Arthur Long and Ronald Eugene Long. She next married Harold Frisbey. Harold died in Sep 1967 in Davenport, Iowa at the age of 68. Dora Lee Catherine Doerr was born 17 Jun 1927. She married Willlard Ulrich. They had a son: James LaVern Ulrich. Germain Doerr, born about 1932. Germaine married Donald Van Brocklin. They had Three children: William Donald Van Brocklin, Alan Ray Van Brocklin and Elaine Van Brocklin. In 1954, they lived in Cedar Falls, Iowa. He shows as a Driver in the City Directory. Clarence Doerr was born 18 Nov 1934 and died 03 Aug 1985 at the age of 50. He was buried in Guttenberg, Iowa. He married Judy. Edna Catherine Moellers was born 10 Aug 1916, most likely on the home farm in Military Township, Section 20. She married Ervin Joseph Bengfort on 12 Oct 1937 at St. Francis Church in Ossian, Winneshiek County, Iowa. Ervin was born on 14 Mar 1916 in Ossian to John Herman and Katherine M (Holthaus) Bengfort. Ervin and Edna were farmers, according to the 1940 census, they owned their own farm in Military Township. Most likely the property in Section 7 (1930 Military Township Plat map shows EJ Bengfort in Section 7, previously owned by his father John in 1915 Plat map). However, by 1957 we find them moving to the Paulsen farm in Postville, Iowa. They had six children: Darlene Mary, Elaine Catherine, John Marcellus, Betty Jean, Randy Ralph and Anita Louise. Ervin died on 11 Aug 1961 in Postville, Allamakee County, Iowa at the age of 45. His estate was auctioned off which included a variety of farm animals and equipment. Edna died on 21 May 2007 in Ossian, Winneshiek County, Iowa at the age of 90. Wilma Mary Moellers was born 14 Mar 1919 and died on 08 Nov 1919, not yet 8 months old. Clair William Moellers was born 23 May 1924. He was brought up on the family farm and at the age of 18, on March 6 1943 he entered the US Army. He was honorably discharged on July 26, 1943.Clair married Dorothy Elizabeth Franzen on 01 Aug 1950 at St. Luke’s Catholic Church, St. Lucas, Iowa. Dorothy was born 08 Dec 1927 in Saint Lucas, Iowa to Joseph H and Johanna H (Baumler) Franzen.They had six children: David John, Joseph Clair, Gary Alvin, Mary Helen, Ruth Johanna and Daniel Lee Arthur. Clair died 30 Mar 2002 in Fort Atkinson, Iowa at the age of 78. Dorothy died 25 May 2008 in Fort Atkinson, Iowa at the age of 80. Ralph Bernard Moellers was born 06 Jan 1927 in Ossian, Iowa. He served his country during World War II from April 1945 until November 1946. Ralph was united in marriage to Theresa Mary Bohr on August 16, 1950, at St. Francis De Sales Church in Ossian, Iowa. Theresa was born 06 Dec 1932 and was the daughter of William J and Hildegarde E (Heying) Bohr. Ralph and Theresa farmed in the West Union area for many years. He enjoyed farming, gardening and feeding hummingbirds. He was a 4th degree Knight as a member of Knights of Columbus. Ralph served on the West Union Coop Board, the Northeast Farm Business Assn. Board and Extension Council and as a 4-H Leader in Dover Township. Ralph was a member of the Holy Name Catholic Church in West Union, where he has served as a Trustee.Ralph passed away at his home in West Union on 31 Aug 2012 at the age of 85. Ralph and Theresa had 12 children: Yvonne Hildegard, Debra Ann Helen Moellers, Zandra Edna Moellers, Norine Delores Moellers, Jeffrey Arthur Moellers, Keven Reginald Moellers, Alisa Mary Moellers, Karen Darlene Moellers, Steven William Moellers, Jason Jerome Moellers, Tracy Joan Moellers and Holly Jean Moellers. Arthur Francis Moellers was born 05 Apr 1929 in Iowa, most likely in Military Township on the Moellers home farm. He married Mildred Genevieve Cottel. Mildred was born 03 Jan 1934. Arthur and Mildred had five children: Mayve Ann Moellers, Linda Lee Moellers, Lucas Moellers, Chris Michael Moellers and Cathleen Mary Moellers. Reginald Joseph Moellers was born 08 Feb 1932. He married Nell Ruby Moody. Nell was born 09 Mar 1935. Reginald and Nell had seven children: Judith Lynn Moellers, John Charles Moellers, Joel Patrick Moellers, Janice Marie Moellers, Jean Yvette Moellers, Jennifer Kay Moellers and James Boyce Moellers. Magdalen Dorothy Helen “Helen” Moellers was born 23 Jul 1934. She married Leo Albert Franzen on 24 Nov 1953 in Ossian, Iowa. Leo was born 25 Oct 1933 in Saint Lucas, Iowa to Michael and Clara Frances (Schmitt) Franzen. Leo died 07 Dec 2007 in West Union, Iowa at the age of 74. Helen and Leo had eleven children: Michael Leo Franzen, Magdalon Clara Franzen, Alan Albert Franzen, Amy Marcella Franzen, Brenda Ann Franzen, Frian Arthur Franzen, Bruce Reginald Franzen, Lester LaVerne Franzen, Laura Patricia Franzen, Carl Duane Franzen and Karen Magdalen Franzen. John Emil Bernard Doerr was born on August 8, 1893 in Military Township, Iowa. John married Gina Espeseth in about 1918. Gina was born in 26 Mar 1896 to Claus and Cornelia Espeseth. The 1920 census shows them living with his parents. By 1930 they were living in Decorah, Iowa. John was a carpenter and home builder. He worked for a time with his brother, Ted, building houses when he was younger. John died 07 Jul 1974 at the age of 80 In Decorah, Iowa. Gina died Dec 1980 in Decorah, Iowa at the age of 84. John and Gina had two daughters: Doris Gene Doerr and Arlawayne Doerr. Clemence Christian Doerr was born 15 Dec 1896. He died 18 Mar 1899 at the young age of 2. Wilhelmina “Wilma” Mary Henrietta Doerr was born 19 Jul 1900, most likely on the home farm in Military Township, Iowa. Wilma died on 29 Nov 1918 at the age of 18. She is buried at Saint Francis de Sales Cemetery, Ossian, Iowa. 1 Einck, Donald and Margaret, Doerr Families, Denver, Iowa, undated. 3 FindMyPast.com, Iowa, Marriages, 1809-1992 Transcription (http://findmypast.com; accessed 06 Mar 2015), entry for marriage of William Doerr and Katie Untereiner 13 Nov 1877, Winneschiek, Iowa, US. 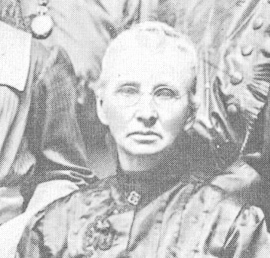 4 “Iowa, County Marriages, 1838-1934,” index, FamilySearch (https://familysearch.org/ark:/61903/1:1:KCH7-M5G : accessed 6 May 2015), William Doerr and Katie Untereiner, 13 Nov 1877; citing Festina, Winneshiek, Iowa, United States, county courthouses,Iowa. 5 Ossian, Iowa, Ossian Bee newspaper clipping, date unknown. 6 Newspaper Clipping announcing death of Catherine Doerr– Unknown paper, but could have been the Ossian Bee. Date shortly after 26 Sep 1938. 7 Certificate from Governor W.L.Harding, Commonwealth of Iowa, No. 47.128, 31 Aug 1918. 8 Newspaper clipping– date and paper unknown. Most likely the Ossian newspaper dated shortly after 13 Dec 1932. 12 Undated clipping, ca mid-1910-1930, from Ossian Bee newspaper. Privately held by Patricia (Doerr) Burns, Apex, North Carolina, 2015. 13 Randy Uhl, Newspaper clipping, paper unknown, date about April 1995..